The Browne and Cocineau families who were partying on the sailboat when it disappeared had been at odds over a vineyard in Cape Fear, N.C. When Dru follows the trail there, her visit leads to another death and uncovers money laundering and other criminal doings. When all is said and done, however, it is the closemouthed, closely knit mountain community that holds the answers. Dru's third (The Last Temptation, 2012, etc.) provides plenty of quirky characters and surprising revelations. 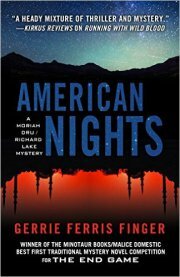 -- Kirkus Reviews. Post a comment for a chance to win an autographed hard copy. Judge Portia Devon invites Moriah Dru, Richard Lake and his daughter to Lake Lanier, north of Atlanta, for the Fourth of July weekend. There Dru spots the stern of a missing sailboat. It went down in a storm when the lake was full pool. Four years later, the area is suffering one of the worst droughts in its history, thus revealing the large boat. Four passengers were aboard the sailboat, last seen docked with the drunken boaters raising hell at the marina's restaurant. Johnny Brown's body was found the next day floating in the no-wake zone; the other three disappeared with the sailboat. Because of their lecherous behavior and wealthy status they had been the topic of gossip ever since. When the sailboat was raised there were no bodies aboard, reinforcing the rumor that Laurant Cocineau and Candice Brown, Johnny's wife, also got rid of Janet Cocineau, Laurant's wife, and fled to Rio, a place they'd clandestinely visited before. 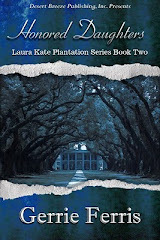 Evangeline, Candace's daughter by her first husband, believes her mother is alive and wants to hire Dru to find her. Dru is a child finder, and Evangeline is a precocious, demanding twelve-year-old, but Dru acquiesces because, by spotting the boat, she feels invested in the case. She'll have help from Lake, an Atlanta police detective. 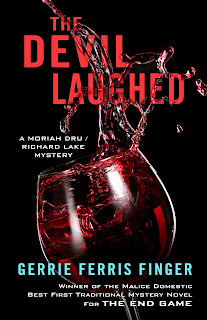 This twisted tale of jealousy, greed and downright evil takes us from the North Georgia mountains to the wine country of Cape Fear, N. C. where the grapes become part of the wrath. Marilyn Meredith explains Why We Do It. Welcome, Marilyn. Happy to have you visit. 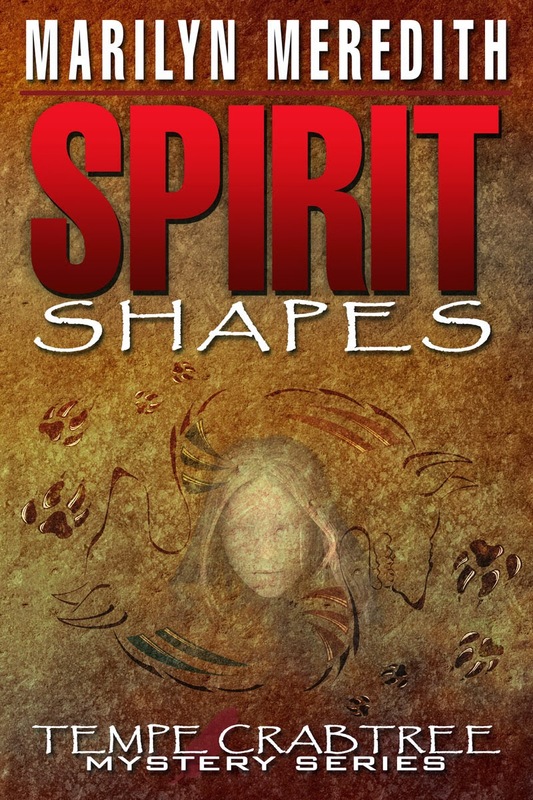 Blurb for Spirit Shapes: Ghost hunters stumble upon a murdered teen in a haunted house. Deputy Tempe Crabtree's investigation pulls her into a whirlwind of restless spirits, good and evil, intertwined with the past and the present, and demons and angels at war. 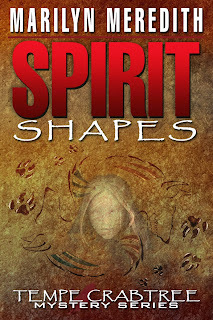 http://mundania.com/book.php?title=Spirit+Shapes Also available directly from Amazon. Why do writers keep on writing? Of course I can’t answer to every author, but I’ll give you my reasons. First, I’ll give you the reasons why someone might ask that question if your name isn’t one that people recognize right off. You spend hours sitting at a computer writing—or sometimes just thinking. Writing is hard work—sometimes even painful. You spend hours sitting at a computer doing promotion. Promotion is hard work and you never quite know if the time you spent paid off. You don’t have time to go out to lunch with friends on a whim. In fact, you probably schedule your social outings. You don’t have time to belong to social or service groups—or if you do, you miss a lot of meetings. Sometimes your husband and family members feel neglected because you spend so much time on your writing. You don’t have time to watch TV all day, or do some of the chores you ought to be doing, because writing is more important. Here is why I keep on writing. The main reason is because I can’t stop. Writing is such a part of my life, I can’t imagine not spending most days doing at least some writing. How will I know what is going to happen to Deputy Tempe Crabtree and her husband, Pastor Hutch, or the men and women on the Rocky Bluff P.D. if I don’t write the next book? Despite the lack of monetary reward, there’s nothing better than having someone tell me how much they liked my book. I am writing for the readers as much as I’m writing for me. Hopefully, they want to find out what is happening with my characters too. Maybe it’s not enough for some folks, but those are the reasons I keep writing. Thank you, Marilyn for an excellent post. P.S. Comment folks. 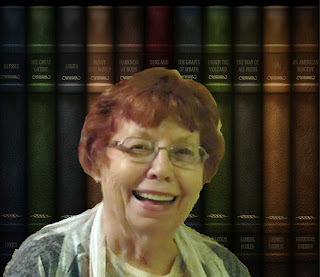 It's fun to be a character in a mystery book.